Cute Jewellery by Chelsea Doll: Chelsea Doll and So...? You Wanna be Famous? Chelsea Doll and So...? 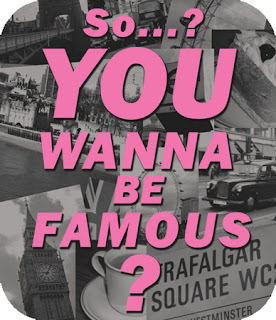 You Wanna be Famous? Oh, do we have some exciting news for YOU! Ready for it? Ok, ok, well we've teamed up with the gorgeous So...? Fragrance to offer you the *most* amazing opportunity and a whole host of goodies! 2012 is definitely the year of the Brit (Olympics, Diamond Jubilee anyone? ), and to mark a very patriotic year, So...? want to showcase British photography talent by choosing four winning images to feature on So…? Brit adverts this summer! The four winners will also receive an amazing Chelsea Doll goodie bag overflowing with jaw-droppingly cool, quirky jewellery! and for ONE lucky winner a Nikon Coolpix camera! PHEW! So, what are you waiting for?! Dust off your camera and get clicking away! The competition closes at midnight April 30th and the winner will be announced on May 1st. For more information, please visit our friends at So...? amazing giveaway, totally going to enter!